Founder of Haridaya yoga – yoga of the spiritual heart. Haridaya is an Advaita Tantra yoga school which is based on Kashmiri shaivism and advaita vedanta. this method direct us to discover the spiritual heart, Atman, and remembering our true nature – consciousness, all through pleasure and cheerful life and practice. 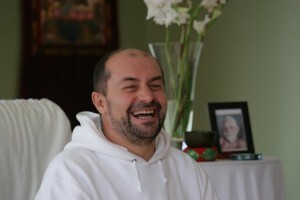 Sahajananada is an international teacher, teaches mostly in his ashram in Mexico and in Romania. i first met Sahajananda in 2007, and started a series of long retreats with him. soon enough i raised in love with his teachings and became close student and started organizing retreats for him in thailand, india and israel. Sahajananda helped me to see more clearly, become softer, connect to my heart and the heart of the world, and deepening in my meditation and perception of life. one of the most fascinating teachers i have ever met. A classical powerful Tantric Guru and an alchemist, who has shown me that the universe is the tantric practitioners playground. Guruji studied with about 67 teachers, and 11 of them were the most significant. he dwelled into sadhana, in intensive practice for 35 years, while using practices from different traditions and branches. 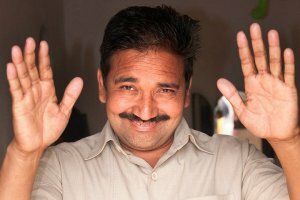 His work is White and Red traditional tantra – practicing with mantras, yantras and pujas. with an emphasis on both shakti and Shiva. 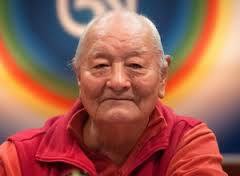 Namkhai norbu is today’s main master of Dzogchen tradition. Dzogchen is discovering the true essence. the meaning of the word Dzogchen in Tibetan is “the great perfection” which means the primal state of every human being and not some unreached reality. Rinponche emphasizes the importance of combining awareness in our different activities and creativity in the process of the teachings and practices. Antoaneta is my beloved feminine initiator. a dear teacher and sister who empowered me with her love to start teaching Tantra in the west. 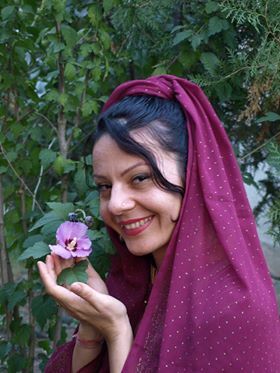 she is an international teacher and a practitioner of traditional tantra, yoga and meditation, she is the co-founder of Hridaya Yoga and is dedicated to the spreading of traditional tantra and love around the world. Antoaneta is a gift to whoever meets her. Filled with light, joy, laughter, wisdom and magic. A speaker that catches the listener’s ear and fills them with the joy of life and enthusiasm from the beauty of the world. The co-founder with Sahajananda and head of the international Haridya Yoga ashram in mexico. she guides retreats of Haridya Yoga and teaches different workshops about “Tantric Rituals”. “Mystic Relationships”, “ practical Tantra”, women workshops and retreats of the 10 great tantric goddesses of wisdom (Mahavidya) and much more about the fascinating world of traditional tantra. Maha – (m.d), is a certified doctor who uniquely combines the knowledge she acquired in western medicine where she specialized in medical rehabilitation and physiotherapy, together with homeopath theory and practices, natural healing methods and close to 20 years of practicing and teaching yoga. as a therapist and healer, dr. pentiuc harmoniously unites years of experience with professional holistic diagnostics of symptoms according to western medicine together with energetic diagnostics and offers a variety of treatment methods that includes the possibilities of modern medicine, homeopathy, naturopathy, ayurveda, diet and yogic techniques. as a devoted experienced practitioner in the way of meditation and self realization path, mihaiela has a lot of knowledge and experience in guiding meditations and practitioners. she shares her deep wisdom and rich knowledge to the people around her.